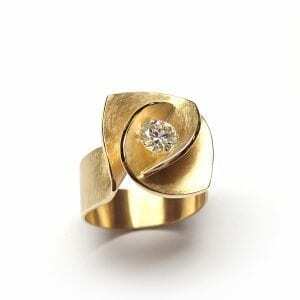 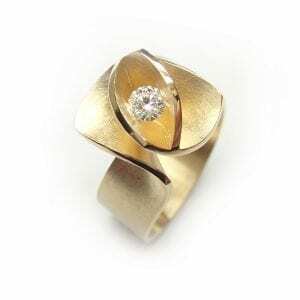 Fascinating hand-wrought floral ring in yellow gold with beautiful diamond at its centre. 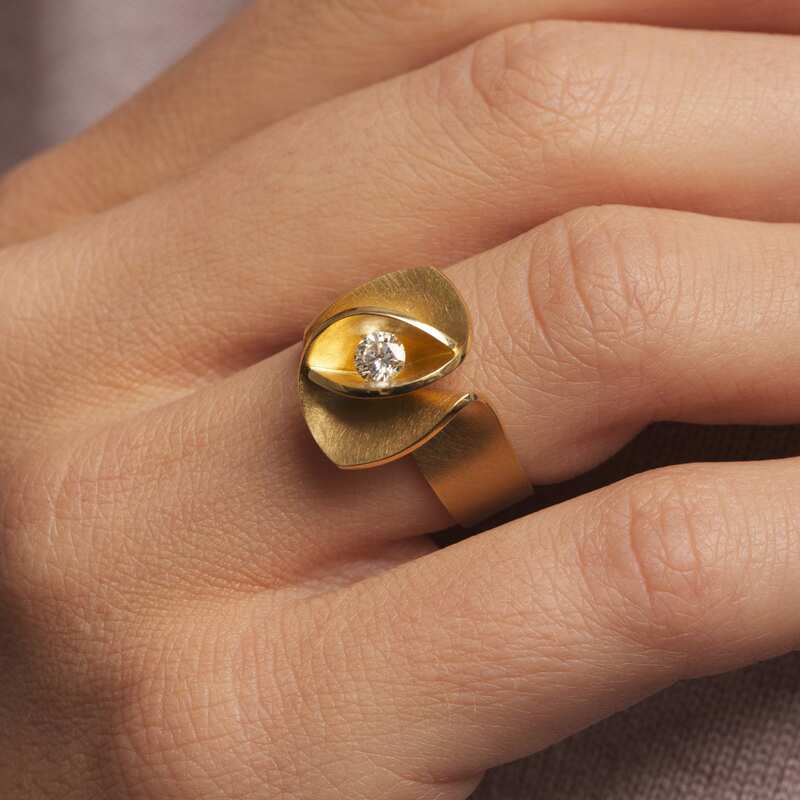 We thought you would like to know has been eyeing up our 18k Yellow Gold Diamond Iris Ring for some time now and has requested we bring it your attention. 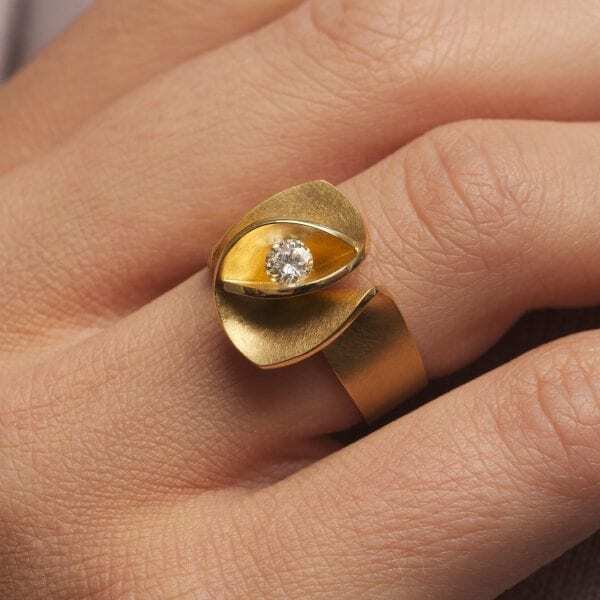 What's your question about 18k Yellow Gold Diamond Iris Ring? 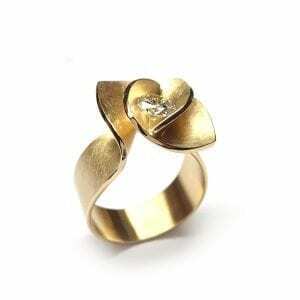 Note: Available to order in different ring sizes and metals.